smoking in half from pre-settlement levels. stopped at the grocery store for cigarettes on our way to the hospital. smoking is something I applaud. It wasn’t easy but the second time was a charm. on my enjoyment. I planned to quit during a time when I wouldn’t be following my normal routine. I planned a short trip during which I would either be visiting friends who were nonsmokers or be in the car by myself. (I could be just as irritable and irrational as I wanted and not risk alienating the person I live with.) It’s been over three years, and it’s the very best thing I have ever done for myself. It’s an affirmation that I value myself. first child. I’ve never gone back to smoking but I have very fond memories of how satisfying I found it and would take it up again if it were not so bad for my health. force. I had to change my friends when I quit. The Vermont Senate will consider a bill next week that bans all smoking in the workplace. Smoking rates in Vermont have been dropping steadily, but 18 percent of adults are still hooked. 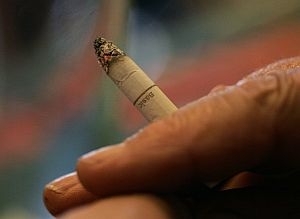 Studies show that about 70 percent of all smokers want to quit. If you’re one of them, the Vermont Health Department hopes you’ll check out their newly revamped Quit Network to find free tips and other help.